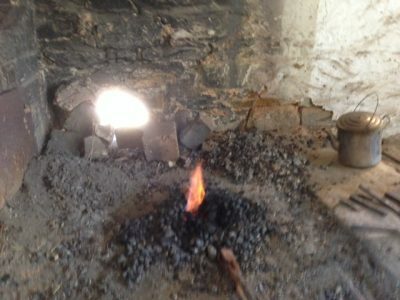 Burra’s ‘Bon Accord’ forge is once more echoing the anvil ring of the smithy forging away. 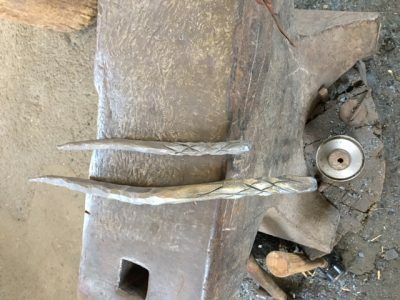 ABASA member, Paul Bennet has been making his way down from the Silver City of Broken Hill each month for weekend sessions at the forge. The Burra forge is a spacious, clean and well laid out forge. 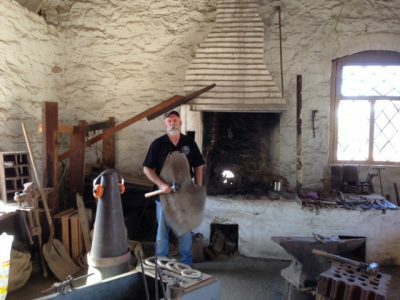 In the past, we have had 2 blacksmiths at a time working but it has predominantly been attended by ABASA member Terry Johnson. 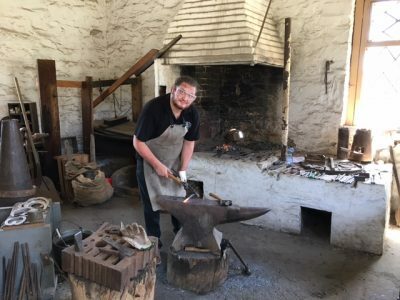 Terry’s commitments of late have prevented him attending regularly and it is fantastic to see that Paul has picked up the cudgel in the running of the forge on a regular basis. I run the forge from 10am to 3pm. And the National Trust has let the tourist centre know that I’m here. Just this weekend, I have had about 25 visitors including children. They have come from as far away as Darwin, Perth, Kempsey and Philip Island. There have also been some from Adelaide. I have been talking up the association and the training for men, women and children. And have printed off the flyers and placed them in a static display for people to take. So far about 6 of the 10 have been taken this weekend. It is good to see the forge being used as it should be, and not gathering dust and unanswered questions from silent observers. 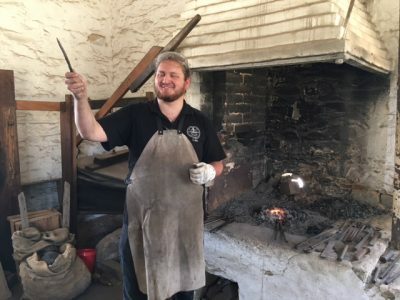 I didn’t work the Forge last Saturday, but my son Luke Bennett travel down from Lismore to visit and worked with me in the Forge on Sunday. It was very hot and Burra had a music festival on for the whole weekend so on the Sunday we only had 2 visitors from Moonta. 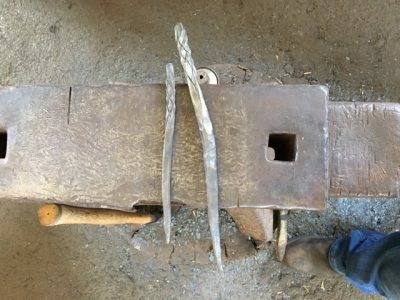 Luke and I made some nails and to metal wands like the ones in the recent American blacksmith newsletter. I have attach some pictures hope they are useful. 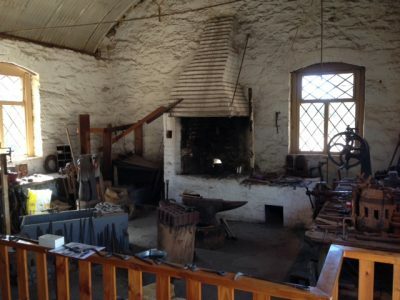 The Burra forge is now closed for active working of the forge due to the heat over summer. But it will still be opened as a static display as usual by the National trust until March. I’ll be back down there on the third weekend in March to open up for the new year for active displays of forging and metalwork.. Hopefully somewhere between now and then I’ll come down to the Penfield workshops but that will be in the New Year. I hope you and your family and everybody in the Association has a great Christmas and a safe New Year.